Do you have a little girl in your life that loves her American Girl doll (or other 18″ doll equivalent)? 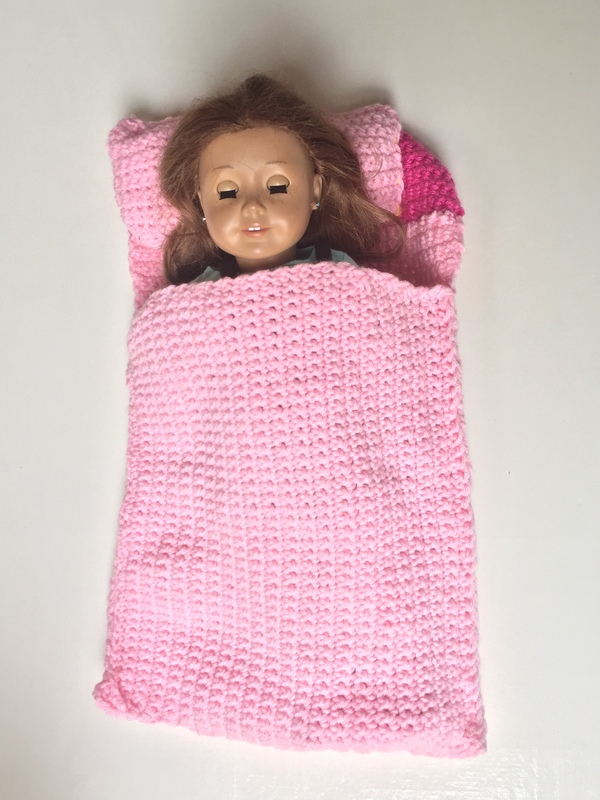 Now you can make her a doll sleeping bag and pillow so she can bring it on her sleepover. 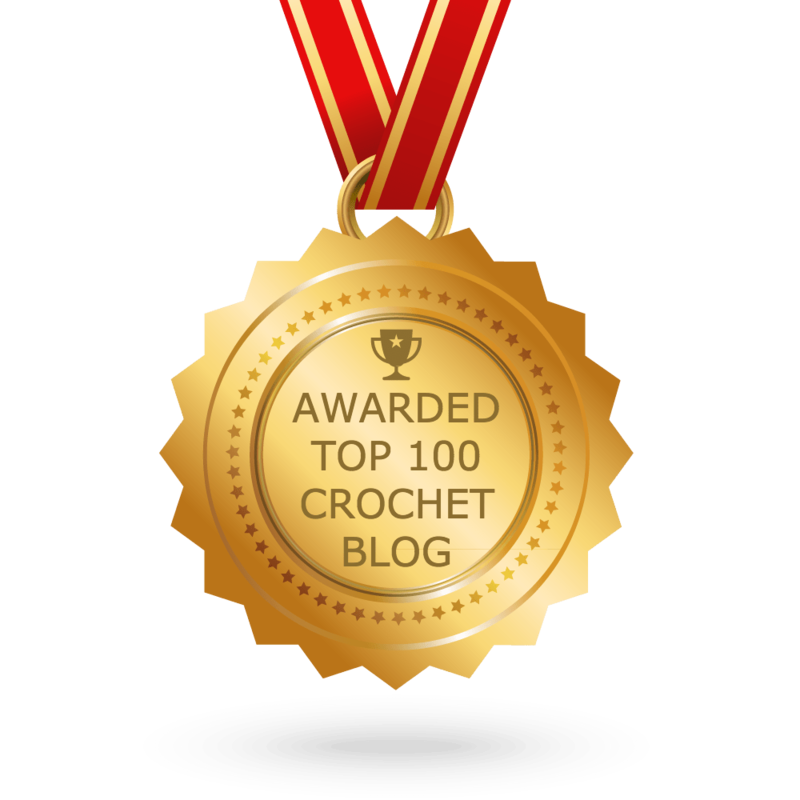 The pattern works up quickly and is written in easy stitches for a beginner. Over the years I have taught all 5 of my daughters to crochet. Some have picked it up quicker than others. My 12 year old daughter had the hardest time, but I am happy to say she has gotten a LOT better. 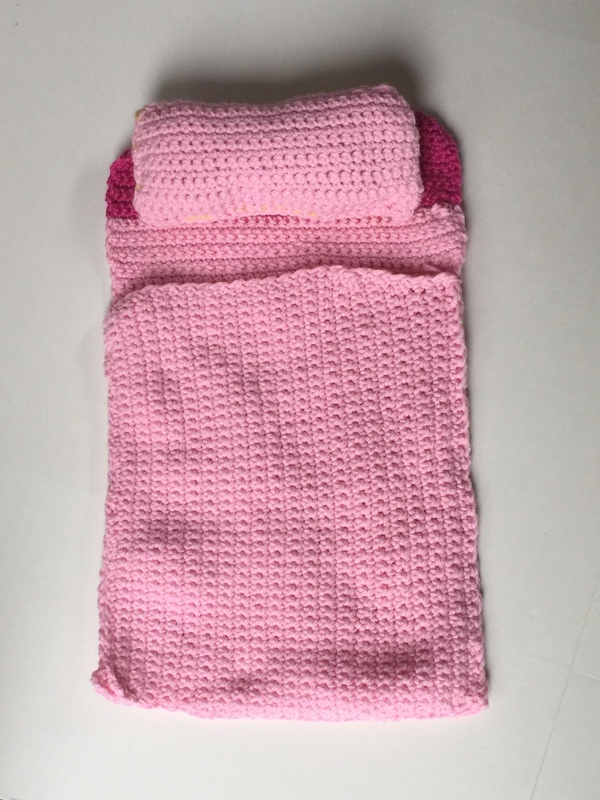 The pattern below is her first attempt at creating her own crochet pattern. I have tried to check for errors, and I did tweak it slightly from the photo to make it easier, so if you do find any please be kind and I will work on getting it fixed/questions answered. Thank you. Rows 3 – 126: Rep Row 2 until sleeping bag measures approx. 34”. 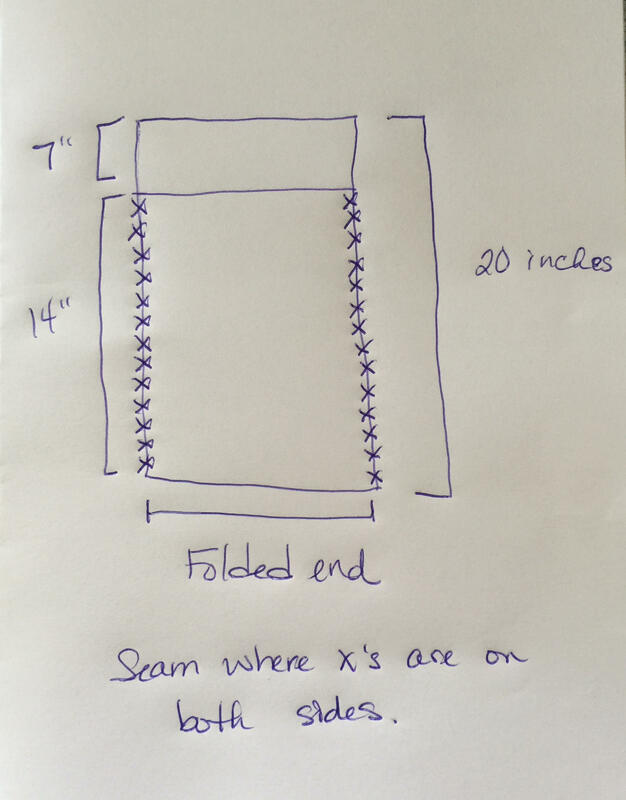 Fold length of sleeping bag so that there is 20” in the back (for headrest) and 14” in front. Whip stitch through both front and back on both sides. Rows 3 – 33: Rep Row 2 until pillow measures approx. 9” from beg. Fasten off, leaving 18” tail for sewing seam. Fold length of pillow and whip stitch side up first side and across length, fill with fiberfill, whip stitch last side closed. I am having trouble trying to fold the sleeping bag. I do not understand your instructions. can you draw a diagram. Glenda, I added a diagram. Thanks for your patience.